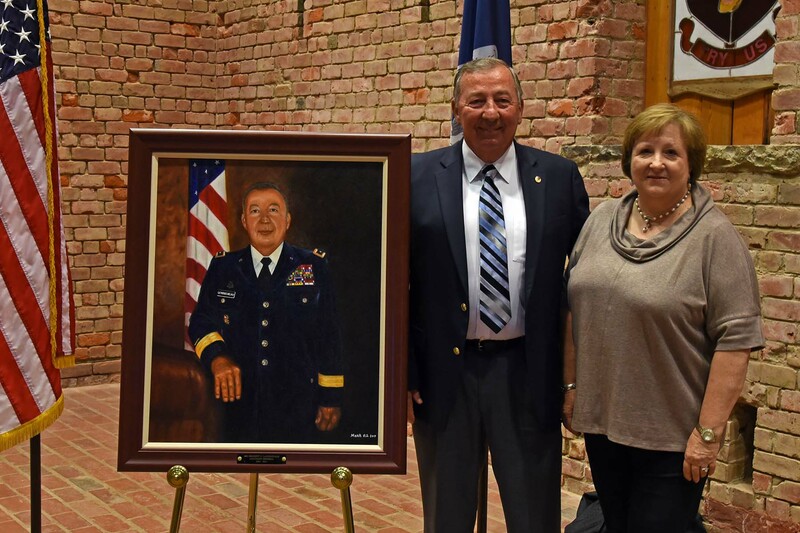 NEW ORLEANS – The Louisiana National Guard inducted retired Maj. Gen. Bennett C. Landreneau into the LANG Hall of Fame during an official ceremony at Jackson Barracks in New Orleans, Nov. 4. 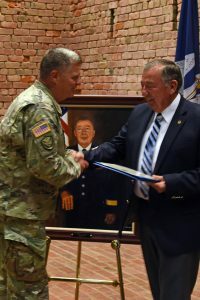 Landreneau, a Vidrine native, led the LANG for 14 years as the 48th appointed adjutant general before retiring in 2011, concluding his nearly 42-year military career. He was the 18th inductee into the Hall of Fame. When he retired, Landreneau accredited growing up on his family’s farm as a major reason for his successful career. Landreneau enlisted into the Guard as an engineer in 1969, following in his WWII veteran father’s footsteps. He commissioned as a second lieutenant after completing Officer Candidate School in 1971. 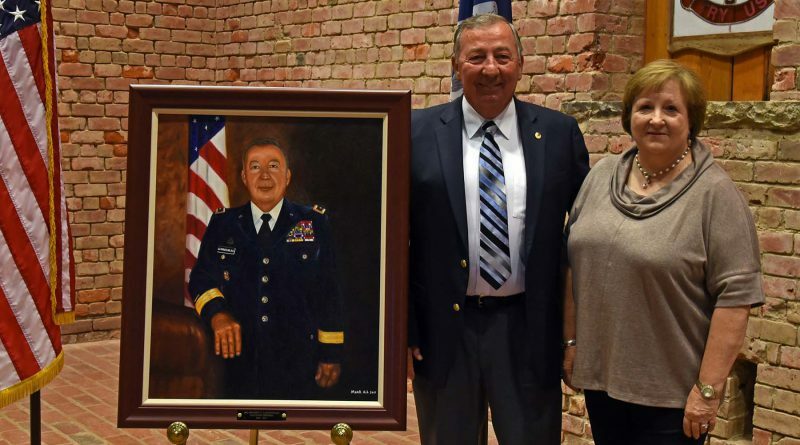 Throughout the years, he worked his way through the ranks, commanding units including the 527th Engineer Battalion, the 225th Engineer Group and the 256th Infantry Brigade Combat Team. Landreneau commanded the 527th Eng. Bn., during the ground invasion of Operation Desert Storm in 1990-1991. The unit arrived at their area of responsibility 25 miles south of the Iraq border just two weeks before the ground war began. The battalion provided crucial combat support missions to include minefield breaching operations, construction of a main supply route, construction of a refugee camp in Rafha, Saudi Arabia, and closing berm openings on the border of Iraq and Saudi Arabia. 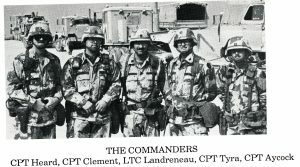 Landreneau was appointed by the governor as adjutant general on Nov. 8, 1997 and was promoted to the rank of major general July 30, 1998. As the head of the LANG, Landreneau commanded more than 11,500 Soldiers and Airmen. Landreneau, who was in the Pentagon when it was hit on 9/11, saw the Guard change from being a strategic reserve force into an operational force that played a key part in securing overseas objectives with active duty military forces during the Global War on Terror. Landreneau said that all four of the LANG’s engineer battalions mobilized back to back over a two year period and that during that time, they conducted all of the engineering missions in Afghanistan. “I was very proud to see those Soldiers excel the way they did,” he said. 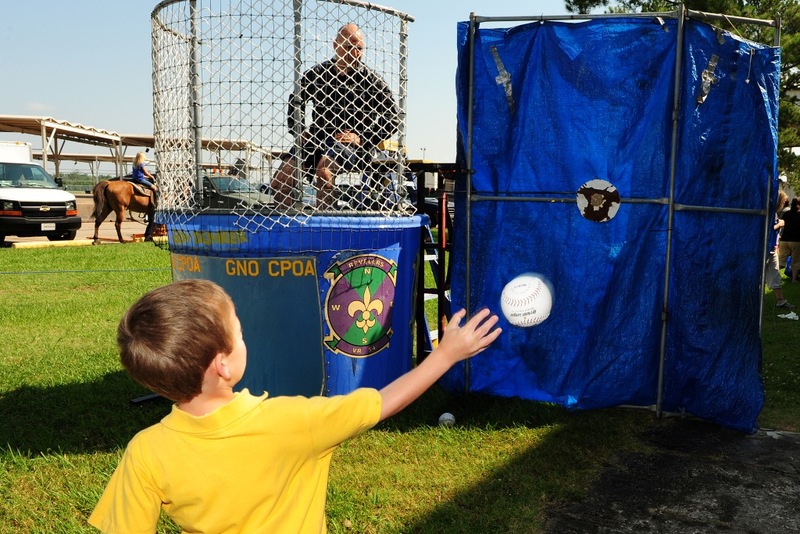 As the LANG’s missions overseas began to slow down in 2005, Hurricane Katrina hit New Orleans. Landreneau oversaw the response in New Orleans, where the LANG safely evacuated tens of thousands of stranded citizens from flooded homes. “Emergency preparedness is one of those things that you have to continue to look at lessons learned and continue to try to improve,” said Landreneau. 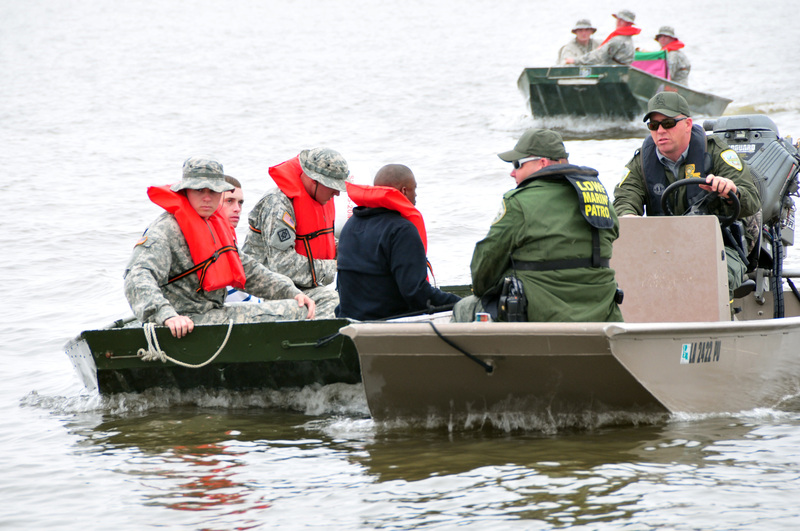 According to Maj. Gen. Glenn H. Curtis, the LANG’s current adjutant general, the Guard’s response to Hurricanes Katrina, Rita and Gustav under Landreneau’s leadership is still being used as the keystone for natural disaster response planning nationwide. As the adjutant general, Landreneau was a member of several boards and committees, including the Army Force Structure Committee of the Adjutants General Association of the United States, Public Safety Recovery Committee of the Louisiana Recovery Authority, the Governor’s Military Advisory Board, the Louisiana Drug Policy Board and the Governor’s Homeland Security Council. Outside of the Guard, Landreneau worked for the United States Department of Agriculture Natural Resources Conservation Service for over 30 years. He retired as the assistant state conservationist in 1996. 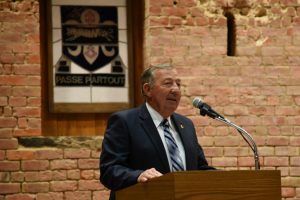 Landreneau holds several distinguished awards from his time in service, including the Distinguished Service Medal, the Legion of Merit, the Bronze Star, the Meritorious Service Medal, the Louisiana Distinguished Service Medal, the Louisiana Legion of Merit and the Louisiana War Cross. Landreneau graduated from Vidrine High School and holds a Bachelor of Science in Agronomy from the University of Southwestern Louisiana in Lafayette. He also holds a Master’s of Science in strategic studies from the U.S. Army War College. Landreneau and his wife, Delores, reside in Alexandria. They have four children and six grandchildren.